There are hardly a few months left for your wedding and you don’t know whether to buy the wedding lehenga first, or to invest in some bridal jewellery or to talk to the caterer, the decorator, the makeup artist! Uff so much to do in such a little time! This also means the impending amount of expenses that will follow. The wedding lehenga itself will cost you a bomb! Another tension is to find the right kind of jewelry which fits in your budget. Gold and precious stones will create a hole in your pocket, leaving you broke and teary eyed. Luckily for you, imitation jewellery exists! Imitation jewellery is just as beautiful and eye catching as the real ones. Hardly anyone will be able to point out the difference. Its unique, contemporary and relatively cheap! Imitation jewelry is a good option for the bridesmaids, bride’s sisters and bride’s mother as well! We have jotted down 5 best imitation jewellery stores / artificial jewellery online stores in Mumbai for you. Get scrolling! Curio Cottage is amongst the oldest imitation jewellers in town. Established 30 years ago, Curio Cottage is inspired by Victorian art with a contemporary twist. They have a great collection of Chandan Balis, Kundan jewellery and much more. Curio Cottage in Mumbai: Colaba, Khar (W), Santacruz (W). Price range: Earrings- Rs. 1,200 and above. Neckpieces- Rs. 3,800 and above. Rings- Rs. 1,000 and above. You can connect with them here. Just Jewellery has some really beautiful, unique and contemporary designs. We love their artificial earrings collection! Made from semi precious beads, their jewelry will draw you instantly. Whether its bridal jewellery or every day jewellery, they’ve got it all! Just Jewellery in Mumbai: Breach Candy. Price range: Rs. 2,500 and above. Silver Queen Jewellery has relatively cheaper options for artificial jewellery with price starting at Rs. 500! Their traditional artificial jewellery will make you swoon! Price range: Rs. 500 and above. Aquamarine promises to make one realize the worth of the lustrous white metal, silver by their breathtaking designs. They do live up to their words! Aquamarine in Mumbai: Colaba, Breach Candy, Bandra and Lokhandwala. Price range: Rs. 2,000 to Rs. 55,000. 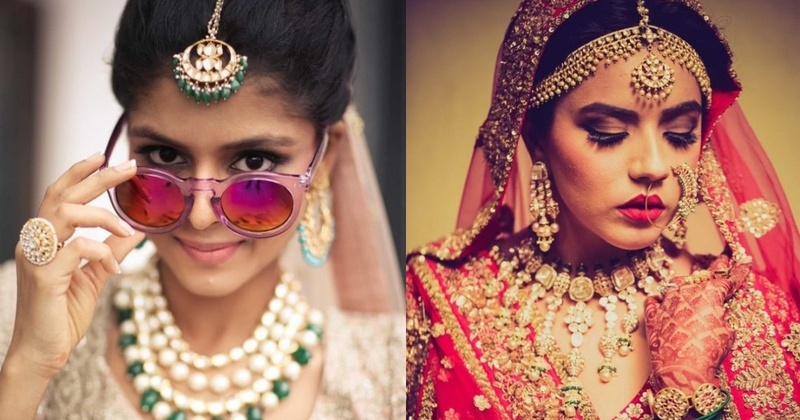 Initially known for its affordable bridal wear, Magic Mirror has now made its name in the imitation jewellery market. They have Kundan, Polki, Thewa jewellery and much more in every price range! Magic Mirror is a good option if you’re searching for some artificial jewellery online. Price range: Rs. 2,000 to Rs. 1,00,000 and above. You must be heaving a sigh of relief now that you know jewelry buying need not leave you broke!